Pair with a medium-bodied Cab. Salsa verde is vibrant, packed with flavour and can transform a simple dish into something extra tasty. Next time you have a braai use parsley, mint and basil to make your own salsa verde. Marinate lamb in olive oil and rosemary for at least 30 minutes. Place all salsa verde ingredients in a bowl, mix to combine and season with salt and pepper. Set aside. When your braai is ready, season cutlets with salt and pepper and grill for about three minutes on each side for medium rare. 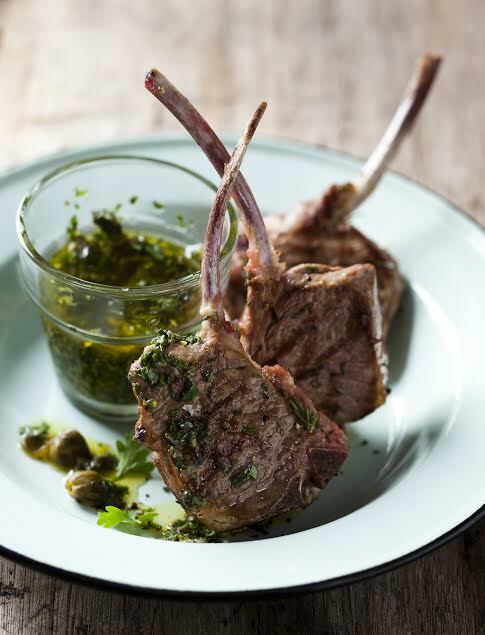 Serve your lamb with the salsa verde on smashed sweet potato or with a simple salad. We suggest a medium-bodied Cabernet Sauvignon or Bordeaux-style red blend, herbal notes in the wine echoing those in the sauce. Anything too full-bodied or tannic will make the sauce appear weedy.